The construction of the Manara Gardens dates back to the Almohad era, which was a barracks for soldiers to swim, and was decorated with olive trees at the beginning of the 12th century. 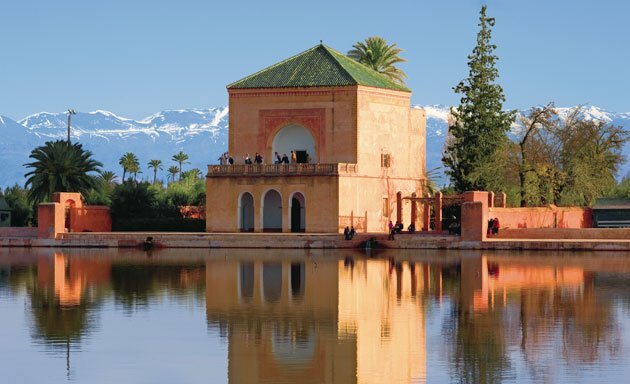 Al Manara Gardens are located about 3 km outside the city walls of Marrakech. On weekends many maracas go to these gardens to spend a walk. In the middle of the gardens is a pond or reservoir of large lighthouse filled with water and depth of two meters and the vicinity of 510 meters. Water reaches it through channels from the Mediterranean Atlas Mountains.